As wonderful as the speakers and sessions may be, to me the best part of any conference is networking. I’m honestly in awe of the people I met at the Social Media Moms Celebration. If you’re like me, always looking for a new blog to read or a new person to follow on Twitter, you might enjoy visiting some of the links below. Amy – @ResourcefulMom / Resourceful Mommy – One of the organizers of the event, I’m lucky enough to count Amy as a dear friend. Audrey – @AudreyMcClellan / Mom Generations – I met her and Colleen (below) at Time to Play last year. They are both the sweetest ladies you could ever meet… and have great blogs, too! Cissy – @coolbabykid / Cool Baby Kid and Double Duty Divas – She was the lucky winner of a night in Cinderella’s castle suite! Jealous or not, I’m always happy to see her… and I’m one of the newest Double Duty Divas! Elizabeth – @Elizabeth_N – She threw a great party at the Golden Inn last year, allowing my family and me to get away for a few days… that made her an instant friend! 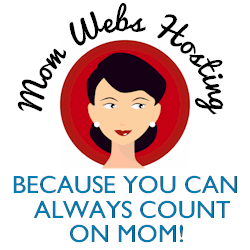 Jen – @onemomsworld / One Mom’s World – I met her at BlogHer last year. She is just the warmest person and has a huge heart. She’s dealing with a death in the family at this moment and really needs our support. Nicole – @PoshNicole / Pink & Posh – She’s the reason I no longer wear heels at blogger events. Hehe. No, really, Nicole is one of my oldest ‘bloggy’ friends. She’s so giving and tons of fun to chat with. Shannan – @slpowell / From Cribs to Car Keys – Originally met her at BlogHer, where we hit it off right away. She’s such a sweetheart. Carolyn – @carogonza / Carol in Carolina and The Art of Random Willy-Nillyness – Carolyn (and Nicole, above) were nice enough to say hi to my mom before I arrived. Thanks, guys! I was so happy to finally meet Carolyn after talking to her on Twitter for so long. Saying she’s nice doesn’t seem quite enough. I’m all out of adjectives, though. How ’bout she’s really nice. Always smiling, which in turn, would make me smile. Christie – @chatterboxcgc / My Life… A Work in Progress – She retweets me often on Twitter, and I have to admit, I like that. It was wonderful to get to know her and Lorraine (below) and hear the fascinating story behind The BlogRollers! Christy – @MorethanMommy / Quirky Fusion – She’s so smart and full of great information. We’ve talked on Twitter for ages and always seemed to miss each other at blogger events. Finally met her! Yay! Connie – @ConnieFoggles / Brain Foggles – It was so funny to meet her in the restroom at Hollywood Studios. Though we didn’t recognize one another, when we looked at each other’s badges, light bulbs went off! Connie – @princesstimetoy – So fun to talk to on Twitter, she’s also the owner of Princess Time Toys, an adorable online boutique. She sent some adorable items for my daughters, which I’m so grateful for. I’ll be devoting a whole post to that. Debra – @AFrugalFriend / A Frugal Friend – Very familiar with WDW, she came to my rescue and guided me to the monorail one (of the many) times I was lost. Her 2-year-old is adorable! Jeannette – @jeannettekaplun / Todo Bebe – Sure, she’s an Emmy-nominated TV host (Viva la Familia on Univision) AND she’s been blogging for over 10 years, but more important than any of that, she’s real. A good friend, a shoulder to cry on, & a person that so many women (Latinas or otherwise) can look up to. Kristin – @OurOrdinaryLife / Our Ordinary Life – So fun to chat with! Her kids are adorable. Lori – @acowboyswife / A Cowboy’s Wife – Another lady that’s fun to talk to. She’s a professional blogger (and a great photographer) that I’ve learned a lot from. Mandy – @LastMinuteMandy / I’d Rather be Crafting – She lives near me, so I was surprised not to have met her before this. Sat next to her during the volunteering event and she’s as nice IRL as she is on Twitter! Sarah -@RealLifeSarah / Real Life Blog – Another mama that I’d been dying to meet IRL! We didn’t get much time to chat, but I know this won’t be the last time our paths cross. She really knows social media. Amy – @SelfishMom / Selfish Mom – She and I bumped into each other at Epcot, trying to find our way out of the park. I’ll never forget the fact that she made Guy Kawasaki blush! Ana – @AnaRC – A social media expert in her own right, she’s a the founder of Latinos in Social Media (LATISM). I’m thrilled to be working with her on a fun project! Asha – @parenthacks / Parent Hacks – This was one of the first blogs I ever read. Parenting tips from real parents. It’s great to meet the face behind this informative blog! Daisy – @DrMommy / Dr. Mommy Helps Moms – She has an amazing energy, and seems like she’s always willing to help out. She’s found most of her patients/clients on Twitter, so that says a lot about her social media savvy! Denisse – @coupon_chica – Talk about a great smile! I’ll be forever grateful to Denisse for giving me a hand when my daughter fell last Friday night. She was right there with a cold bottle of water and a cloth diaper, which I used as a cold compress until we got to the hotel. Thank you! Kristy – @sawickis / This Side of Eternity – Another mom blogger that I was thrilled to meet. Miss Lori – @misslori / Musings from my Minivan – You may recognize her as a former host on PBS Kids. She is approachable, always smiling, and has a great laugh. Lorraine – @askwifey / Ask Wifey – See Christie (@chatterboxcgc) above. Maria – @thesavingqueen / The Saving Queen – A local mom! I met her during a conference break, and am so glad I did. Melanie – @modernmami / Modern Mami – She’s a role model for Latinas AND working moms. Can’t wait to get to know her better! From left to right.. top row: Lorraine, Ana, (I don’t know! ), Dr. Daisy, Carolyn, Christie, Laura from WDW. bottom row: Me, Jeannette, Denisse, and Melanie. Thanks to Jeannette for the photo! .-= Melanie (ModernMami)´s last blog ..Why Men Shouldn’t Do Grocery Shopping: A Purex Video Review =-. You rock! I am so glad that I got to see you again. Next time let’s chat again ok? What a great idea for a blog post!! I loved reading through and realizing just how many people I missed bumping into. Next year!! You are so sweet and I’m glad I bumped into you on your way out of Epcot…otherwise we would have missed meeting each other. 🙂 Pure luck! .-= Debra @ A Frugal Friend´s last blog ..Weekend Coupon Watch 2/21 =-. Oh my! You really got around! I’m so envious. I think I’m too shy. I didn’t meet many people at the conference. I’m going to have to work on that! .-= Connie´s last blog ..More Sweet Ideas for Your Little Princess on Valentine’s Day =-. I’m impressed with that list. Wish I could say that I got to meet that many people. Aw, thanks so much for the mention and it was SO good to meet you as well. I am excited for you and the rest of my Hermanas Latinas and all you plan to do this year! I hope our paths will one day cross again, Querida! .-= Christie – The ChatterBox´s last blog ..Sunday Confessional: Identity Crisis =-. I was so sad we didn’t have enough time to chat! It was so great to meet you irl! It was a little difficult to juggle seeing everyone I wanted to with the fam there, although I did enjoy having them there. What a truly magical trip! .-= Real Life Sarah´s last blog ..I Live in the Single Best Town In America! Do you? =-. It was great to meet you too. You don’t live that far from me. We’ll have to get together for lunch one day. .-= Maria – SavingQueen´s last blog ..FREE – Axe Shower Gel for Men =-. This just proves that they need to do it again next year… I missed out on meeting so many women I really wanted to visit with! There was so much going on, I didn’t mingle as much as I should have. Hope to meet you next time! .-= Naomi´s last blog ..Rainbow Brite Is Back! =-. We were glad we found you too. We were all soooo tired!! You have an amazing memory–clever post. .-= Anitra´s last blog ..Trial Zone: A Super First Time at Disney World =-. .-= Carolyn G´s last blog ..I’ve been a bad bad girl =-. MWAH! Thank you for not holding it against me…you know, the flight and all that. Great summary my friend of the experience. I think I will just link to yours on my blog :). Let’s catch up in DC soon over coffee? I’d love to meet up over coffee soon! I was also thinking of maybe organizing a ‘Cherry Blossom’ tweet up. Meeting you IRL was so amazing, but I´m sorry I made you cry 🙂 People really hated me for that, LOL. I loved being able to connect offline. By the way, you are too kind with your words. Un abrazo! .-= Jeannette´s last blog ..Ciertos alimentos pueden asfixiar a niños pequeños =-. It was so fun meeting you in the restroom of all places. I wish we would have met earlier and had more time to chat, but it was nice all the less. .-= ConnieFoggles´s last blog ..Day Two – Disney Social Media Moms Celebration =-. .-= Anita´s last blog ..Menu Plan Monday =-. .-= Denisse´s last blog ..Print now: Coupons are Resetting Soon!/Imprime ahora: Cupones Nuevos Pronto =-. Just wanted to say how thankful I am to have met you. You are a very wonderful person. I’m blessed! .-= Maricris´s last blog ..Window to My World Wednesday : How I tone my Arm =-.